Delivery confirmed! Here’s what to expect. Spring back into shape by giving yourself pampering, post-pregnancy treatments while your baby sleeps. Slimming Tips: Reduce your intake of sugar and fats. Exercise regularly to firm and tone. And, most importantly, stay away from alcohol. Not only is it high in calories, alcohol stimulates the appetite and is drying to the skin. It’s the most beautiful time of your life—and your body should show it. Exfoliating Body Scrub for Smooth Skin. 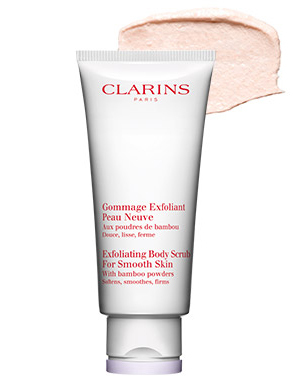 Exfoliate twice a week to remove rough, flaky surface cells and impurities—and give your skin a sleek new start. Preps body skin to receive the full benefits of the treatments that follow. Tonic Body Treatment Oil. Combine a few drops of these 100% pure plant oils with Exfoliating Body Scrub for Smooth Skin to visibly firm, tone and elevate your mood to a total feeling of well-being. The final stretch—look your best! Stretch Mark Minimizer. Apply with gentle circular motions to stomach, hips, breasts and backs of arms to help visibly reduce the look of stretch marks that may have appeared during your final months of pregnancy. 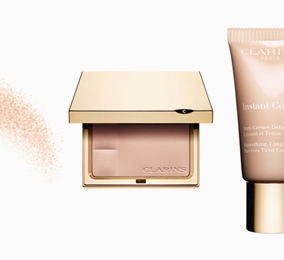 Use Clarins’ exclusive application method for best results. Take control of those curves. Body Shaping Cream. 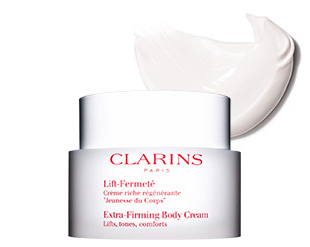 This luxurious cream—with firming and toning Poppy extract—targets the look of stubborn fat and curves, visibly firming, smoothing and refining skin on the waist, abdomen, hips, arms and knees. The perfect texture for massage. Water retention? Let it go! Contour Body Treatment Oil. 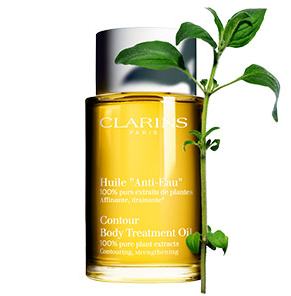 Clarins’ blend of 100% pure plant extracts—including Hazelnut, Broom and Sweet Marjoram—helps eliminate toxins and excess water to promote a streamlined silhouette, and reduce the appearance of sponginess. 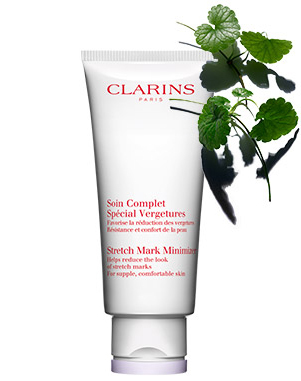 Clarins’ exclusive Application Method promotes lymphatic drainage and supports microcirculation for optimal results. Concerned with cellulite? 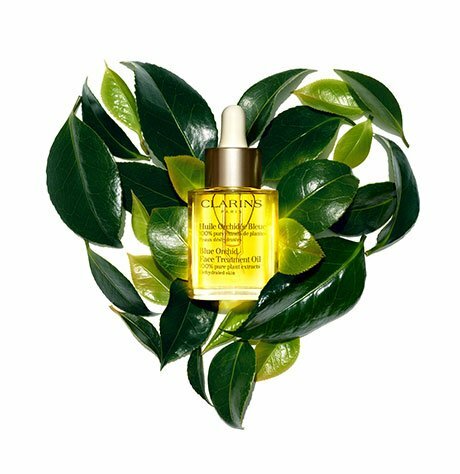 Clarins gets behind you! 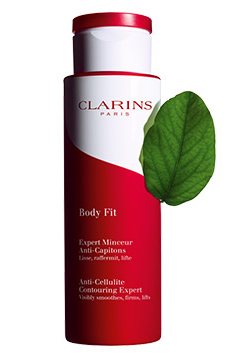 Body Fit Anti-Cellulite Contouring Expert. Keep contouring on track with the power of 8 targeted plant extracts—including organic Quince Leaf—that visibly firm and lift thighs and hips, reducing the appearance of cellulite with unprecedented results. Stretch marks? No way, Baby! Soothing relief for tired legs and feet. Pregnancy mask? Glad you asked! Baby bump, yes. Baby bloat? Nope! 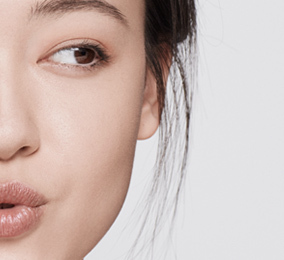 Pep up a tired complexion! Pack a maternity survival kit.